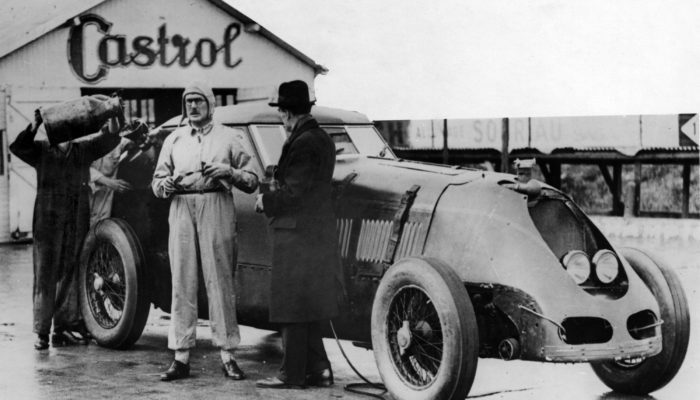 To achieve a World Land Speed Record, a car must be driven through a measured mile, turn around, refuel and return along the mile within one hour. The final speed figure is the average of the two runs, as timed by officials. The first record was set in 1898 by Chasseloup-Laubat, who drove a Jeantaud electric car at 39.24mph/63.15kph. As speeds increased, record attempts outgrew ordinary roads and race tracks, transferring to long beaches and huge desert salt plains. Popular venues included Pendine Sands in South Wales, Daytona Beach in Florida and Bonneville Salt Flats in Utah, USA. Some of the most famous World Land Speed Record cars can be seen in the National Motor Museum at Beaulieu. 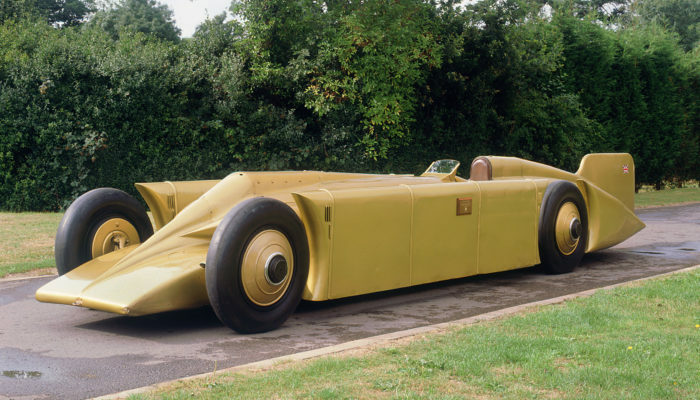 These include the 1920 and 1927 Sunbeams, 1929 Golden Arrow and 1960 Bluebird. 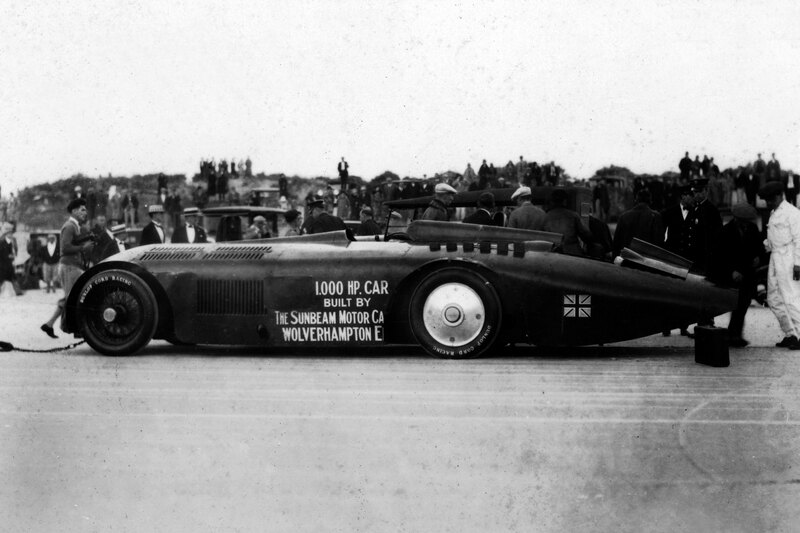 The 1920 350hp Sunbeam introduced a new era of aero-engined record-breaking cars. 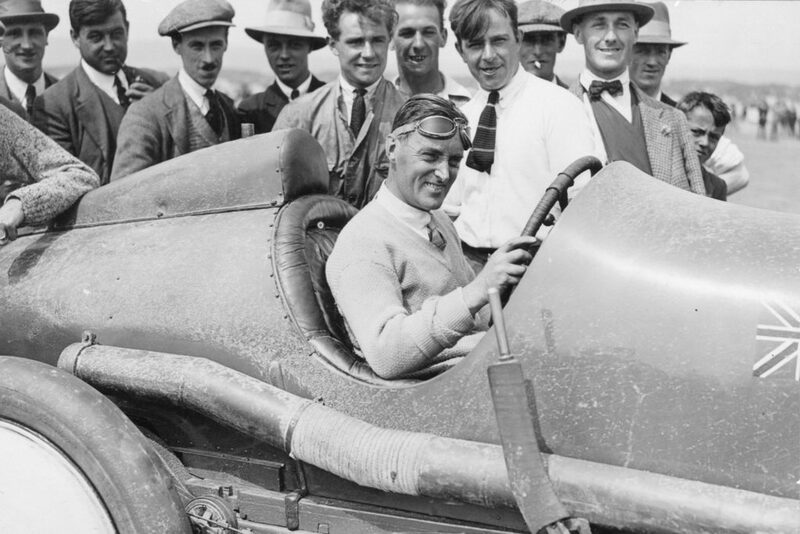 First raced at Brooklands in 1920, two years later it took Kenelm Lee Guinness to a new World Record of 129.171mph/207.880kph on the same track. 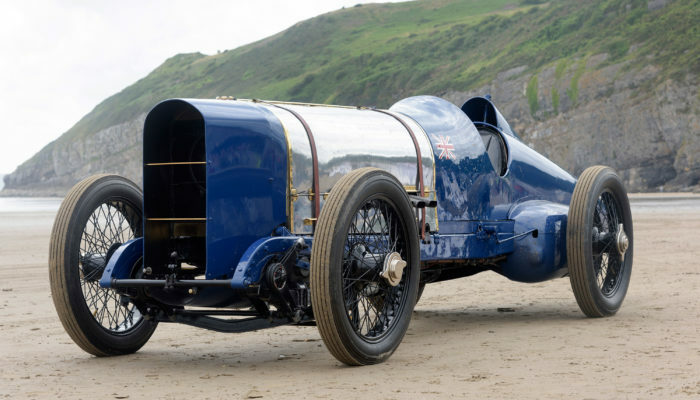 Malcolm Campbell later purchased the car and went on to set records of 146.16mph/235.22kph and 150.766mph/242.634kph at Pendine Sands in 1924 and 1925, respectively. 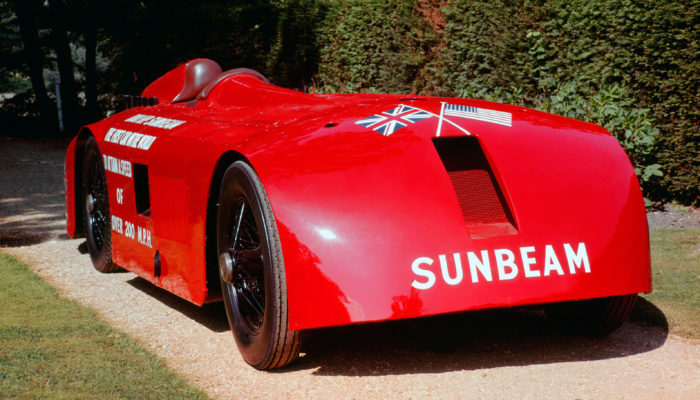 Driven by Major Henry Segrave at Daytona Beach, the 1927 1000hp Sunbeam was the first car to officially exceed 200mph/321.87kph. 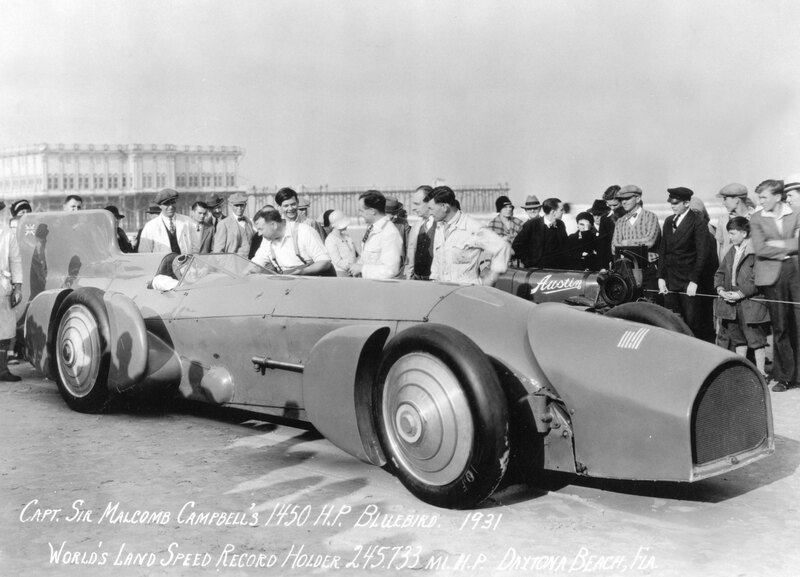 Two years later, Segrave returned to Daytona with the Golden Arrow designed by Captain J.S. Irving to achieve a new record of 231.362mph/372.341kph. During the 1920s and 1930s, the record was contested regularly, mainly by Britons and Americans. Driving the 4100bhp jet-powered Bluebird, Donald Campbell successfully exceeded 400mph/643kph in 1964 at Lake Eyre, South Australia. Electric, steam and petrol engines have all achieved record speeds, but the 1960s space flight programme introduced rocket power. In 1970, Gary Gabelich, a trained astronaut, drove Blue Flame to a new record of 622.407mph/1001.667kph. Thirteen years later jet power retook the record for Britain when Richard Noble’s Thrust 2 achieved 633.468mph/1019.467kph. 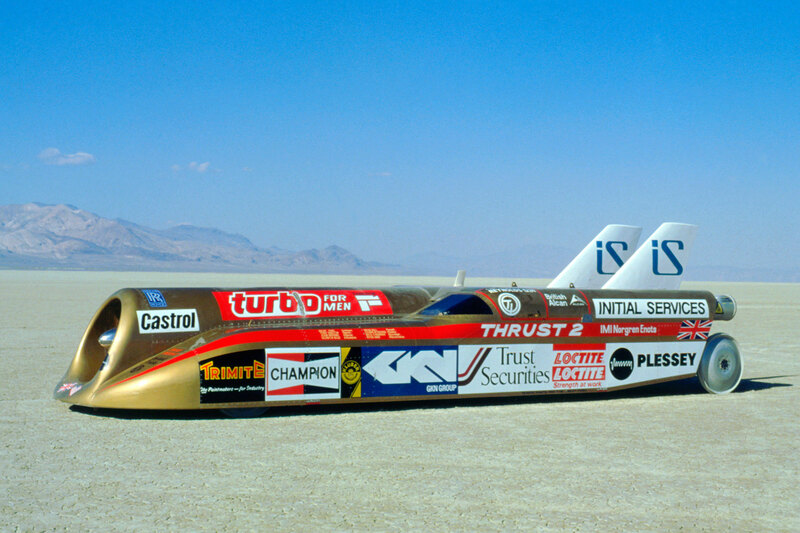 In 1997, Noble and his team broke the record again, when Andy Green drove Thrust SCC through the sound barrier at 763.035mph/1227.986kph.